In these terms of business, the expression ‘Accommodation’ means the Accommodation operated by the Accommodation defined in the Client’s confirmation and ‘Client’ means the person, firm, or company making a booking or staying in the Accommodation. These terms apply to all bookings except to the extent where specific terms apply for a particular booking. All published rates include VAT where applicable (and local taxes) at the current rate. Accommodation rates are per room per night. In the rare case that the Accommodation cannot accept a booking, guests will be offered a full refund. In the case of an act of God (strike, war, etc. ), the Accommodation will do its utmost to find an alternative accommodation in another accommodation but will not be held responsible if this is not possible. Bedrooms are available as indicated. Our check in is from 14:00. Check in times outside of those specified must be confirmed with the Accommodation prior to arrival. Check out is at 11:00. If your reservation is cancelled outside of 48 hours, payment will be returned within 5 working days. In the event of non-arrival or cancellation within 48 hours of the date of arrival, a charge equivalent to the total reservations at the package rate at which the reservation was made will be levied; in the instance of an online payment where monies have been paid, no refund will be given. Normal terms of payment apply to these charges. 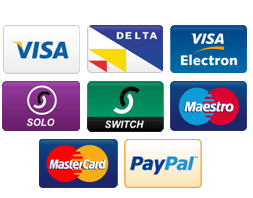 Most major credit and debit cards are accepted. Full payment will be taken within 24 hours of booking. For online payments, the full amount will be taken at the time of booking. All additional sums are due for payment on presentation of the invoice at checkout. In the event of any query relating to the invoice, the Client must notify the Accommodation within 14 days of the invoice date and the Client’s obligation to pay all outstanding balances immediately will not be affected.